He has a thriving chartered quantity surveying practice which specialises in dispute resolution and avoidance. As a barrister, he advises on dispute strategy, tactics and the merits of contentious construction claims. Richard is certified to provide legal advice to clients as an employed barrister under a contract for services. He is not currently certified to provide advice directly to the public. 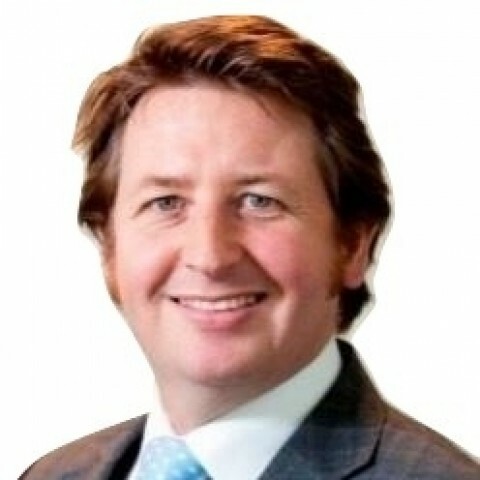 Richard has spent the last 15 years preparing and defending claims for extensions of time, disruption and additional works on a range of construction and engineering projects throughout the world including a AUD$16bn LNG Plant in Western Australia, an US$3.5bn inner city metro project with the deepest immersed tube tunnel in Europe and a US$8.5bn coal fired power station in Africa. As a chartered quantity surveyor, he has provided independent expert opinion on the value of construction claims including a £10m biomass project in the UK and NZ$100m HV AC/DC Power Convertor Station in New Zealand. Richard frequently sits as an Adjudicator, Arbitrator and Expert Determiner to decide contentious construction issues. Differences of opinion are common in construction projects – especially in relation to money and time. The nature of the industry requires contractors to maximise their opportunities under contracts while clients try to minimise them. This incompatibility can lead to conflict. However, acknowledging this at the outset of a project or programme can ensure that the effect of potential conflicts is kept to a minimum. Effective Dispute Avoidance starts with an understanding of Dispute Resolution. It is essential to foresee where an issue or difference could culminate. This then is what needs to be avoided. Richard uses his knowledge and experience in dispute resolution to maximise the benefits to the parties in any contract. Identifying optimal outcomes and navigating a path to success is, for Richard, an essential part of the contracting process. Richard now lives on the Buckinghamshire and Oxfordshire border with his wife, Kathryn, and two young boys. Previously, he lived in Sydney, New South Wales and Perth, Western Australia and before that in Edinburgh. While in Edinburgh, he was an associate member of the Society of Writers to Her Majesty’s Signet. His interests include travel, reading, rugby and sailing. Richard is a current PhD candidate, researching how the ‘agency problem’ contributes to cost and time overruns, is a past Adjunct Professor of Engineering and Construction Law at Curtin University, a past lecturer in Contract Law on the BSc and MSc courses in Construction Management at Heriot-Watt University and a current contributor and member of the Accreditation Team of the International Guild of Project Planning, Controls and Delivery. He is also a member of the editorial board of the Royal Institution of Chartered Surveyors’ ISURV Infrastructure Channel where he advises on the content of contract management, procurement and other modules. Richard also sits on the Employed Barristers Committee and the Remuneration Committee of the Bar Council of England and Wales. We don’t have any client feedback for Richard Croxson (2002) at this time. 3. I, Richard Croxson, have been instructed by you. (iv)Advise, review or comment on legal issues or evidence. 7. If you have instructed me on a direct access basis, to assist you in bringing or defending a claim then the processing is necessary to perform a contract to which you are a party (Article 6(1)(b) GDPR). To give effect to that contract (i.e. to bring a claim) it is necessary for me to process your personal data for dispute purposes. (iv)To refer back to in future cases which raise similar legal, factual, or procedural issues. (v)The personal data has to be erased to comply with a legal obligation.